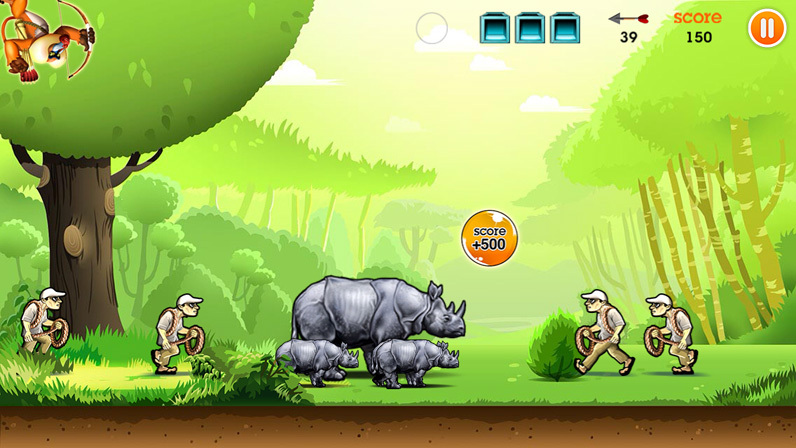 The first habitat features Javan rhinoceroses pitted against rags poachers. 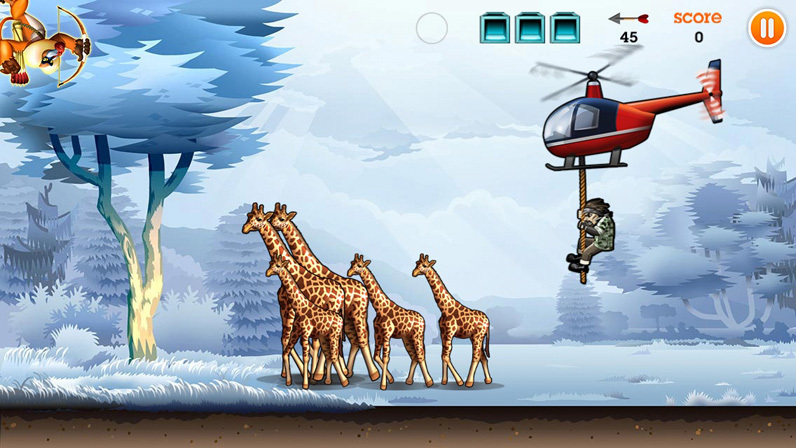 A family of Rothschild giraffes fleeing helicopter poachers. 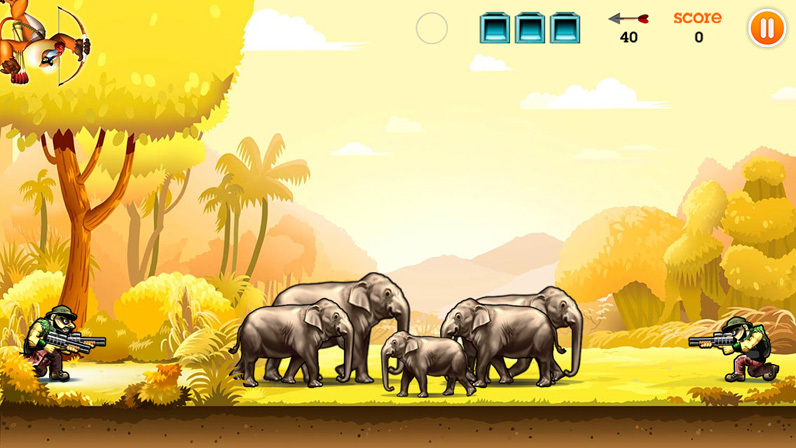 Elephants battle armies of shotgun poachers. 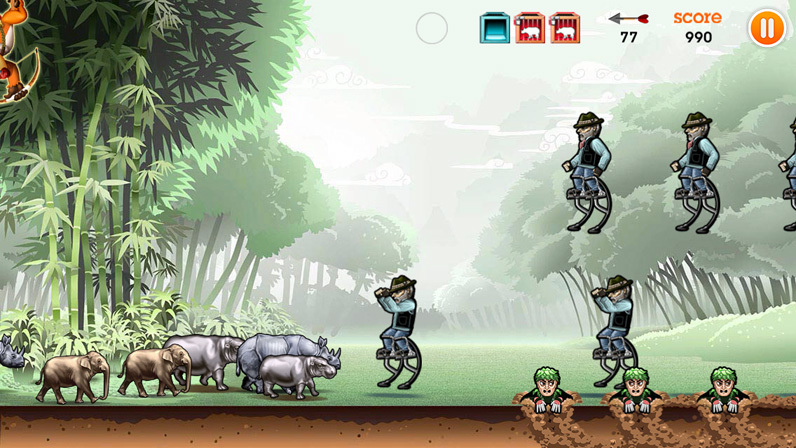 Jump stilts and mole poachers attack a group of baby animals. 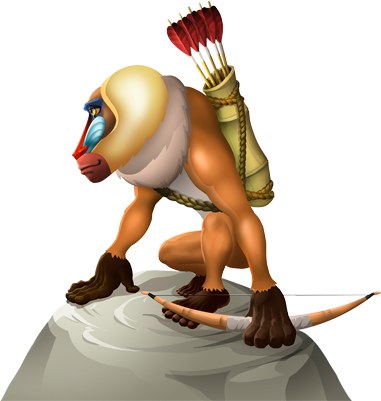 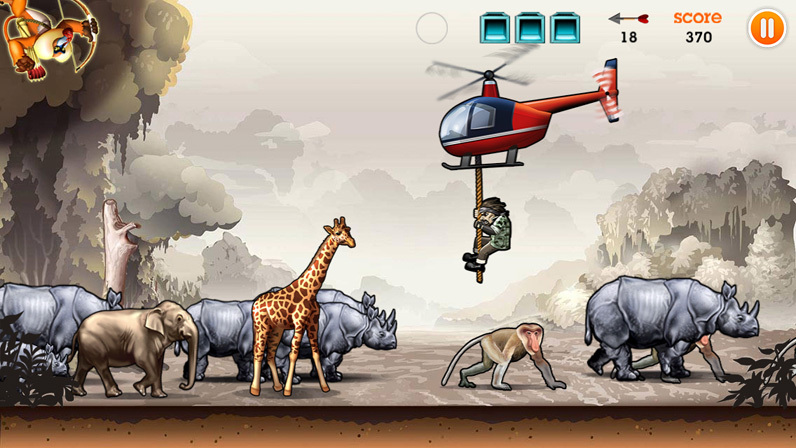 A proboscis monkey, joined by a safari of animals, on the run from a helicopter poacher. 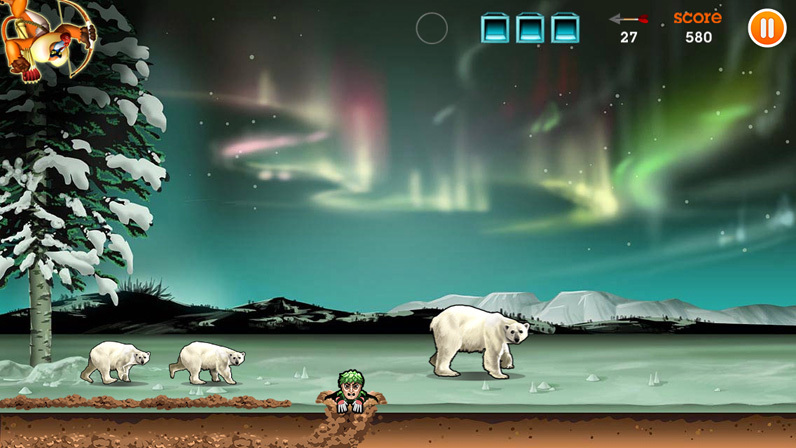 A mole poacher attempts to separate polar bear cubs from their mother. 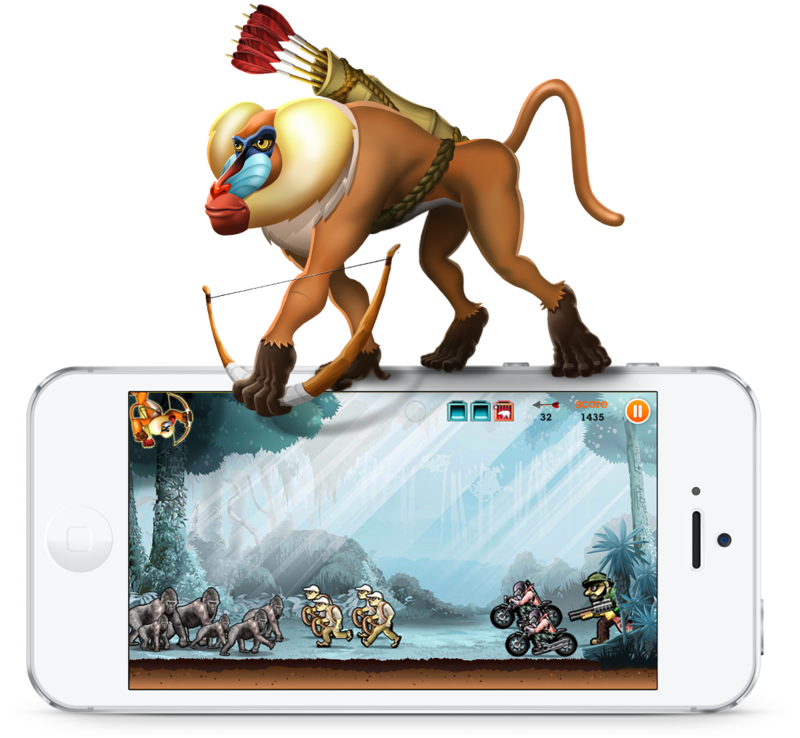 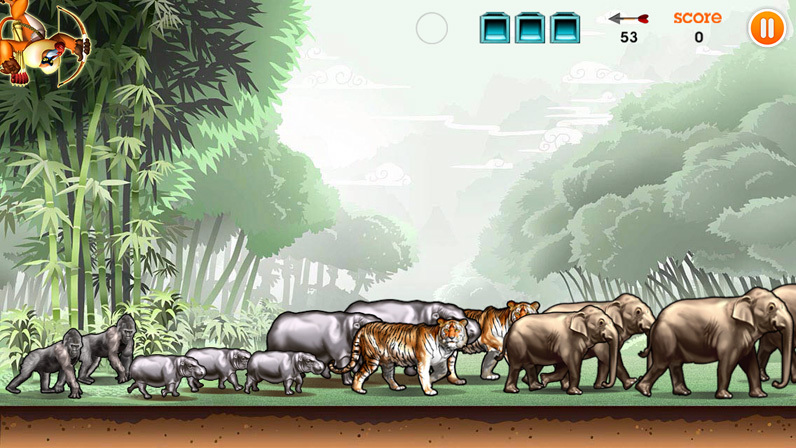 Tigers joined by elephants, hippos and gorillas on the run. 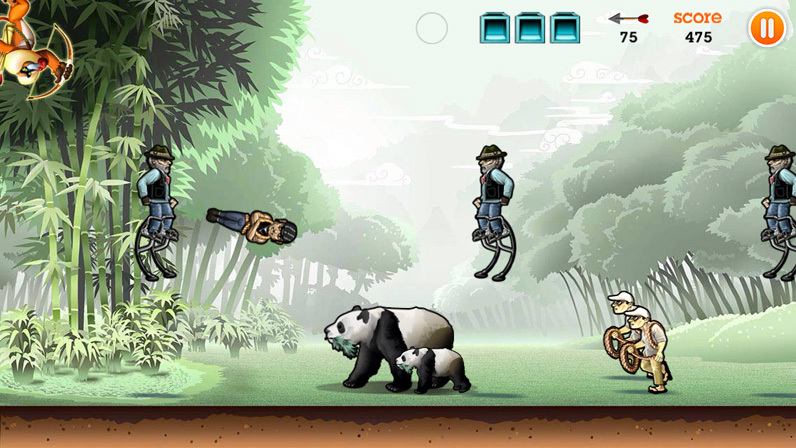 Giant pandas ambushed by jump stilts, canon and rags poachers.